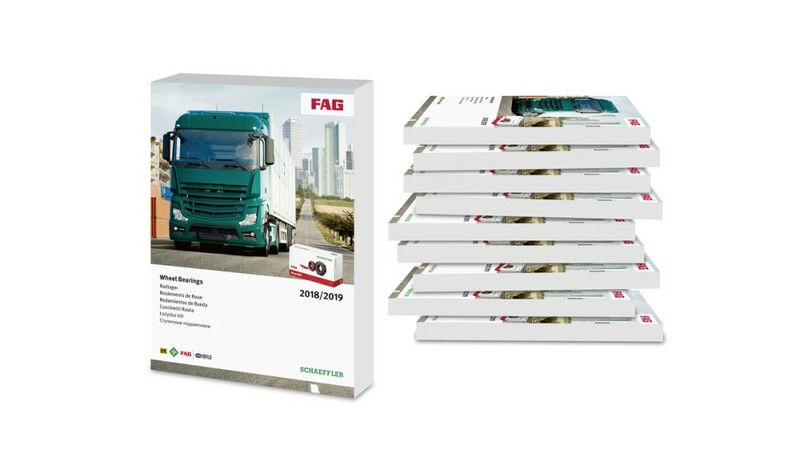 The new Schaeffler catalog “FAG Wheel Bearings 2018/2019 for Heavy Commercial Vehicles” offers the right repair solutions in original-equipment quality for nearly every application in the commercial vehicle segment. Under its FAG brand, Schaeffler has over 200 different articles in its portfolio for the most important truck, bus, and axle manufacturers. Garages have a choice that ranges from single standard tapered roller bearings all the way to pre-assembled and pre-lubricated wheel bearing units, like the FAG RIU (Repair Insert Unit) and the FAG SmartSET. And that’s not all. New applications for the FAG SmartSET have been added to this extensive product range. Expanding this portfolio with pre-assembled units meets current market demands. “With cost and competitive pressure increasing, fleets need to raise the mobility of their vehicles and lower total cost of ownership. Our easy-to-install and long-life wheel bearing repair solutions are precision-tuned to each specific vehicle,” says Keith Leadbeater, Director Commercial Vehicles at Schaeffler Automotive Aftermarket. Repair costs are important, but repair related downtime is of special significance in the commercial vehicle segment. That is why Schaeffler focuses on pre-assembled, pre-lubricated wheel bearing units like the FAG SmartSET, the FAG RIU, the FAG Truck Hub Unit (THU), and the FAG Truck Axle Module (TAM). The advantages of these wheel bearing units – they reduce possible mistakes in installation and downtimes associated with repair, and their high life time extends service intervals as well. An example of this is the FAG SmartSET, whose portfolio is constantly expanding. This ready-to-install repair solution is now available for 21 applications – suitable for the most important truck manufacturers (MAN, Mercedes-Benz, Renault, and Volvo), bus manufacturers (Bova, Mercedes-Benz, Setra, and Volvo), and for axle manufacturers (ADR, BPW, Gigant, Meritor, and SAF). Also new are the “FAG Universal Wheel Bearing Pusher Plates” that ensure a correct fit every time when pressing the FAG SmartSET or FAG RIU into a hub. 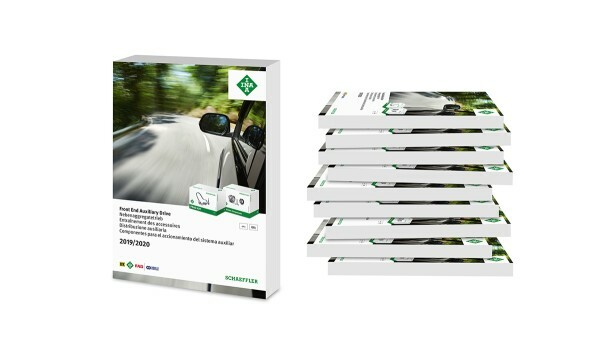 Garages can get this 800-page spare parts catalog at one of the distribution partners of the Schaeffler Automotive Aftermarket division. All content is in seven languages – English, German, Spanish, French, Italian, Russian, and Polish. Users search for the right product using the nine-digit article number or, as an alternative, according to vehicle reference. The reference work is also available for downloading at www.schaeffler.de/en and www.repxpert.com.